The congress debate focused on countries like Germany where sustained, mass workers’ struggles posed the possibility that working people might form a government. It was therefore necessary to pose the concept of workers’ power not just as a long-range perspective but in terms of the existing workers’ organisations, with their strengths and weaknesses. On the other hand, workers in Germany, Italy, France and neighbouring countries did not then possess a network of revolutionary workers’ councils similar to the Russian soviets of 1917. Most of the organised workers’ movement was still directed by pro-capitalist leaders, and communists were still a minority current in the working class. The question of workers’ power had to be addressed in that framework. Introducing this concept to the Fourth Congress in November 1922, Comintern president Gregory Zinoviev conceded that this was an issue that “has not been sufficiently clarified.” Delegates did indeed advance varied and contradictory interpretations. The text proposed for adoption went through more drafts than any other congress document. Even after its adoption, three different versions were circulated to Comintern parties. (For the three texts, see “The Comintern’s Unknown Decision on Workers’ Governments”.) Most subsequent English-language discussion has focused on a preliminary draft that differs substantially from the text that the Congress finally adopted. The debate had opened two years earlier, during a general strike by German workers. The head of the Social Democratic Party trade unions, Carl Legien, called for formation of a government of workers’ parties and trade unions. His goal, to be sure, was to end the strike and begin to re-establish bourgeois order, as a united Social Democratic Party government had done after the German revolution of November 1918. But circumstances had changed. Power no longer rested with revolutionary workers’ councils, as in November 1918, but with a bourgeois coalition regime. A workers’ government would draw its authority not from parliament, where deputies from workers’ parties were a decided minority, but from the workers’ mass movement. The German Communist Party (KPD) stated that, under these conditions, “formation of a socialist government … would create extremely favourable conditions for vigorous action by the proletarian masses” and expressed conditional approval of the proposal. A heated debate broke out in both the German party and the Comintern as to whether this stand was appropriate. The central issue was whether the term “workers’ government” was merely a pseudonym for the rule of workers’ councils under communist leadership – a dictatorship of the proletariat – or whether it represented a transitional stage to that goal. The latter concept, warned Amadeo Bordiga, central leader of the Italian Communist Party, implied that the working class can take power “in some way other than through the armed struggle for power”. Ruth Fischer, who led the leftist minority in the German party, warned that the concept of revolution was being watered down by “styling its hair in ‘Western’ fashion, creating democratic transitional stages between what we have and what we aim for”. Initially, Zinoviev also had held this view. He retracted it as the congress opened but continued to express the underlying thought in more guarded form. Leaders of the German party majority and Karl Radek, on the other hand, argued that the workers’ government was not a pseudonym for a workers’ dictatorship but a “point of transition” toward it. 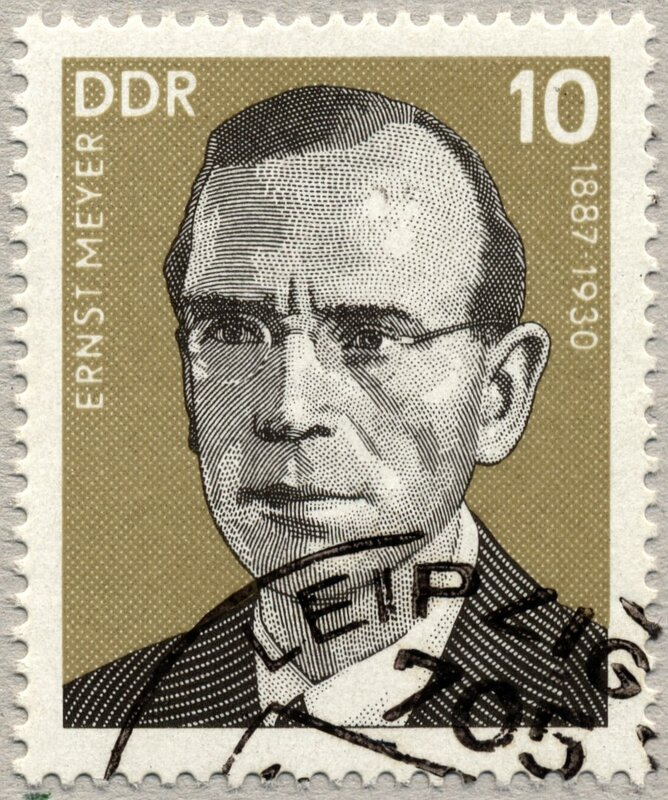 Achievement of a workers’ government can “lead to a phase of sharpened class struggles through which a proletarian dictatorship will ultimately emerge”, said Ernst Meyer. It will be parliamentary “only in a subordinate sense” and “must be carried by the masses”. Karl Radek called such a government “the starting point of a struggle for the dictatorship of the proletariat”. During the editing process, the congress text was progressively aligned with a “transitional” concept of a workers’ government. The final text sharply counterposed it to a parliamentary-based “bourgeois-Social-Democratic coalition, whether open or disguised”. A workers’ government can be sustained only by the struggles of the masses, the final draft states; its enumerated tasks begin with “arming the proletariat” and end with “breaking the resistance of the counter-revolutionary bourgeoisie”. Communists should stand ready to “form a workers’ government with non-Communist workers’ parties and workers’ organizations”, the resolution states, but only “if there are guarantees that the workers’ government will carry out a genuine struggle against the bourgeoisie along the lines described above”, and subject to other safeguards. The clarity of this position was seriously undermined, however, by the simultaneous use of the term “workers’ government” to describe rule by bourgeois workers’ parties that, while introducing some reforms, acted as loyal administrators of the capitalist order. This concept was voiced mainly by Zinoviev, who thus managed to stand simultaneously on both the left and the right wings of the discussion. Zinoviev used the expression “liberal workers’ government” to describe the Labor Party regimes that had administered the Australian capitalist state after 1904 and a future Labour Party government in Britain. Such a regime, he said, “could be the jumping-off point for revolutionizing the country”, could take many steps “objectively directed against the bourgeois state” and “can finish in the hands of the left wing”. Surprisingly, Zinoviev saw a parallel here with the role of the Russian Mensheviks in 1917. Although adopted unanimously, the amendment was not incorporated into the published Russian version of the resolution, which has served as the basis for translations into English. As a result, English-language comment on this issue, singling out Zinoviev’s position for attack, has criticised the congress for the very weakness that its delegates sought to remedy. The first concerned the role of peasants. During the congress debate, Vasil Kolarov, the senior delegate from Bulgaria, said that “the workers’ government is not posed in agrarian countries like the Balkans”. The final resolution, by contrast, referred to the possibility of a “government of workers and the poorer peasants” in regions such as the Balkans and Czechoslovakia. The second unaddressed issue concerned the nature of workers’ rule. The resolution’s final text stated that “a genuinely proletarian workers’ government … in its pure form can be embodied only in the Communist Party”. Zinoviev said that only this variant “is indeed a pseudonym for the dictatorship of the proletariat”. The implication was that if communists allied with non-communist forces in a revolutionary government, this was only a temporary expedient until the communists were strong enough to rule alone. A comment by Leon Trotsky suggested quite a different approach. Describing the Bolsheviks’ alliance with the Left Socialist-Revolutionaries party in the first months of Soviet rule, Trotsky said the Left SRs had been ousted from the government on their own initiative, not that of the Bolsheviks. Genuinely proletarian workers’ government (Soviet Russia). Zinoviev stressed to congress delegates that this list was not complete and that other types of workers’ governments could occur. He warned that “in the search for a rigorous scientific definition, we might overlook the political side of the situation”. In other words, the Comintern’s approach was not prescriptive but empirical. It sought to analyse situations actually posed in the struggle at that moment. The resolution also said nothing regarding the government that might result in the colonial and semi-colonial countries from the struggle for an anti-imperialist united front. This question was urgently posed in the years following the congress in China, where a mistaken Comintern policy resulted in a calamitous defeat. In the year of that setback, the United Opposition in the Bolshevik Party, led by Trotsky and Zinoviev, formulated a governmental proposal for China based on the Bolshevik strategic arsenal from the years before 1917: a revolutionary democratic dictatorship of the proletariat and peasantry. Trotsky was soon to repudiate the concept. Nonetheless, it remains among the possible variants of a workers’ and peasants’ government. The Fourth Congress decision suggest that workers’ efforts to form a government, far from representing a barrier to socialist revolution, can be a significant transitional step toward its realisation. The decision also sketches out conditions under which a workers’ government may actually exist within a capitalist state, for a transitional period, with positive results. 10. TUF, pp. 243, 1161. 14. Chris Harman and Tim Potter, “The Workers’ Government”, in International Socialism, February 7, 2007.